The collection of photographs dating back as far as 1955 can be seen in Central Blackburn Library. 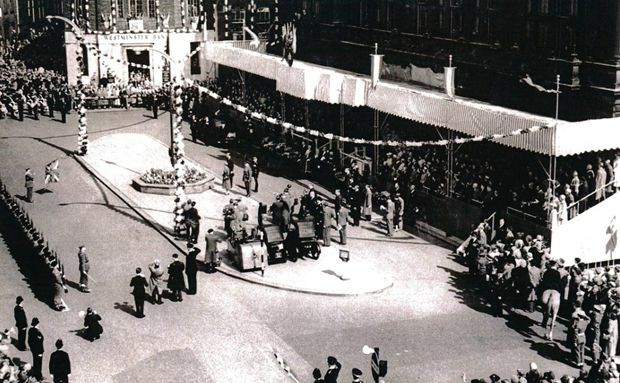 The pictures show a number of different royal visits including one to Mullard’s, QEGs, Pleasington playing fields and the Town Hall in King William Street. They will be on display on the ground floor near the main reception and on the first floor near the entrance to the Hornby Theatre. Her Majesty will be coming to Blackburn on Thursday, April 17, to hand out Maundy Money at our Cathedral to men and women from across Lancashire. Every year the Monarch visits a UK cathedral or abbey to give out Maundy coins to people aged 70 and over in recognition of their service to their community and church. This year’s visit will be the first time The Queen, who by tradition is also the Duke of Lancaster, has visited Blackburn Cathedral, which is Lancashire’s Anglican Cathedral. She will be accompanied by His Royal Highness, The Duke of Edinburgh. Buckingham Palace will invite 88 men and 88 women from the Diocese (in line with The Queen’s age this year) to receive the special coins. Maundy money is given in denominations of 1, 2, 3 and 4p’s and the coins are tiny. The route for the Royal Visit has now been announced and details are available on the Council’s website. As we build up to the big day, there is a fun fair in town hall square between April 10 and 26 and Royal themed community activities taking place on King William Street on Saturday, April 12. Blackburn Museum and Art Gallery is also displaying our collection of Maundy Money. The exhibition will include some examples given out by our current Queen during the last few decades and some from Queen Victoria. The oldest coin we have, a 1p, is tiny but has the Lord’s prayer written on the back in full. The display will be open from Wednesday April 16th until Saturday, April 19th from 12pm until 4.45pm. It will also explain the tradition behind the giving of Maundy Money and what it represents.